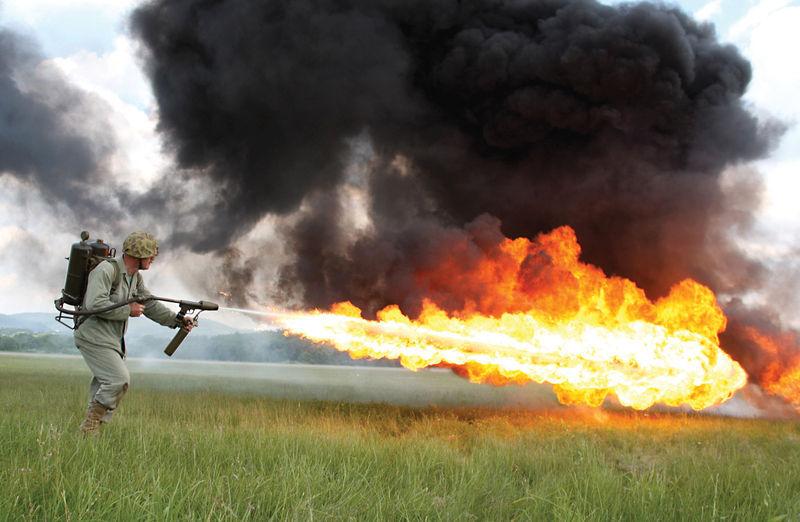 If you don’t live in California or Maryland, you can legally own your very own flamethrower! Once used in trench warfare during World War I and World War II, these high-power incendiary devices are now used by civilians to melt snowy driveways, get rid of unwanted foliage, and start fires. They aren’t practical in today’s battlefield due to their heavy weight, short range, and low fuel capacity.